Dr Garrigan graduated in Science reading Physiology in 2002 from Trinity College Dublin before proceeding to qualify with honours as a Dental Surgeon from Trinity College in 2007. Following this he completed a postgraduate qualification with the Postgraduate Medical and Dental Board. Part of this process encompassed working with children and nervous patients where he gained valuable experience for the field. 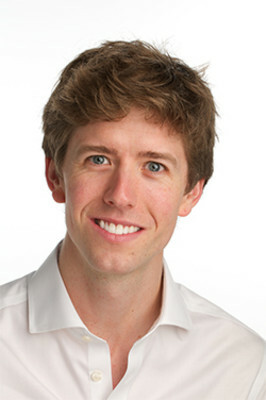 Eoin is a member of the Irish Dental Association and Irish Faculty of Primary Dental Care. He is firmly committed to continuing education and keeps up to date attending lectures organised by Dublin Dental Hospital, RCSI and the Irish Dental Association. Eoin is passionate about promoting dental health in underdeveloped countries and has spent time as a dental volunteer in South Africa and in the remote mountain communities of Peru with Kindness in Action. In July 2012, Eoin obtained his Diploma of Membership of the Joint Faculties at the Royal College of Surgeons of England (MJDF RCS Eng). Erica qualified from Dublin Dental Hospital in 2015 following her two year undergraduate course in Trinity College Dublin. 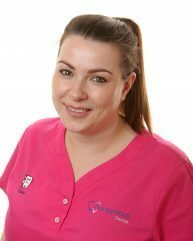 She joined the team here at Templeogue Dental in 2018. She has previously worked in a city centre practice gaining invaluable experience in restorative dentistry and orthodontics. Erica enjoys working chairside and co-ordinates the smooth running of the clinic. Outside of the clinic Erica is a keen reader and enjoys the outdoors. At Templeogue Dental we follow the best practice guidelines and protocols relating to infection control. We have a dedicated central sterilisation room using the latest technology to ensure the highest standards of cleanliness for our patients. We have digital x-rays, charting and intraoral photography which you can view instantly. This enables us to work more efficiently and to provide your family with exceptional dental care.